Mike Carey (Cellular Memory/Health) on Holistic Health Show. Sorry for the quality of the recorded interview that may be a result of the phone connection to Columbia. 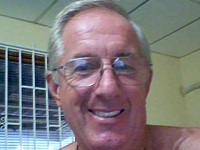 My guest, Mike Carey, has been involved in alternative health since 1979, when he became very ill. He was mis-diagnosed twice before finding the cause of his health problems, but was then told that he would probably be on medication the rest of his life. His cousin, who was deeply involved in health and nutrition, finally convinced Mike to try natural things to get well. In less than 30 days, Mike was totally well and off all medications for good. This is what peaked his interest in helping others through the use of natural remedies. From this point on, it was a learning process involving studying, attending seminars, taking classes, and practicing what he was learning on friends and relatives, or anyone that was open-minded. Mike eventually learned how to do muscle testing, using a method involving the acupuncture points on the body. It opened up a new way of determining health problems, but did not indicate the cause of the problems, only that they were there. Mike´s youngest daughter suffered with Chronic Fatigue for 8 years, from the age of 8 until she was 16. She had no energy to do anything and would often lay on the floor in a fetal position and cry because her life was passing her by. Dozens of doctors, Naturopaths, and other health practitioners were not able to find the cause or help her recover. It was then that Mike learned about cellular memory and how to tap into it to determine the cause of the problem as well as the natural remedy. Mike did this with his daughter and was able to find the cause of her Chronic Fatigue and also how to cure it. In 2 days, all of her energy came back, – after 8 years. This inspired Mike to learn more and to help as many as he could. Cellular memory is very controversial with many, but not with Mike. His study showed that every cell in your body knows everything that has ever happened to you in your life. It is also believed that every cell has enough storage capacity to store all of the books of the Encyclopedia Britannica, many times over. Being able to tap into this memory is a gift that has proven itself over and over. As a result, Mike now has clients in 15 countries around the world referred by someone who and tests them via the phone or by Skype. This is possible because everything in the universe works by electricity and frequencies, including your body and the phone. Frequencies also travel through the air or we would not have GPS, TV, WIFI, or those little key fobs that open your car door. Mike believes that the accuracy of this testing is somewhere around 98% and he has been doing this type of testing for the past 21 years. At least 99% of his new clients are got good results. Interview with Dr David O Carpenter on EMF now Available for Listening.